Located in the shadow of Mt. Greylock, 2,608 foot Brodie Mountain was once a well-known New England ski destination. The geological name of the mountain may be Gaelic for "a little ridge." Brodie Mountain's skiing history dates back to the 1934-35 season, when the 1.1 mile, 930 vertical foot Brodie Mountain Trail debuted. Described as novice except in fast snow conditions, the trail was 8 to 12 feet wide. The first competition on the trail was held on New Year's Day of 1935, when Joseph Aspinwall won the Eastern Amateur Ski Association open novice race. By the end of the decade, Brodie was home to a ski jump and night skiing. Lift service on Brodie Mountain likely started when a 1,100 foot rope tow was installed by Gregory "Mad Russian" Makaroff for the 1940-41 season. A beginner rope tow was likely added for the 1941-42 season. The area continued to operate as the United States entered World War II, with some ticket proceeds being donated to the effort. Meanwhile, according to Lost Ski Areas of the Berkshires, a small area called Brodie Mountain Sports Center opened adjacent to Makaroff's during the 1940-41 season, leading a lawsuit being filed over the similar name and loss of customers. Makaroff eventually prevailed and the rival ski area shut down following its second season. Following the war, an up-and-coming ski entrepreneur named Walter Schoenknecht leased Brodie from Makaroff for the 1946-47 season before heading south to open Mohawk Mountain in 1947. The area may have operated for one final season thereafter. Dealing with health issues, Makaroff moved to Montana, refusing to sell his Brodie property for any less than $35,000. Makaroff died at the age of 58 at veterans' hospital in Oregon, leaving his estate in limbo. Reports of a will in a missing briefcase gave way to negotiations with the USSR to obtain power of attorney from Makaroff's siblings. The land eventually ended up in the hands of the Kellys, a logging family. 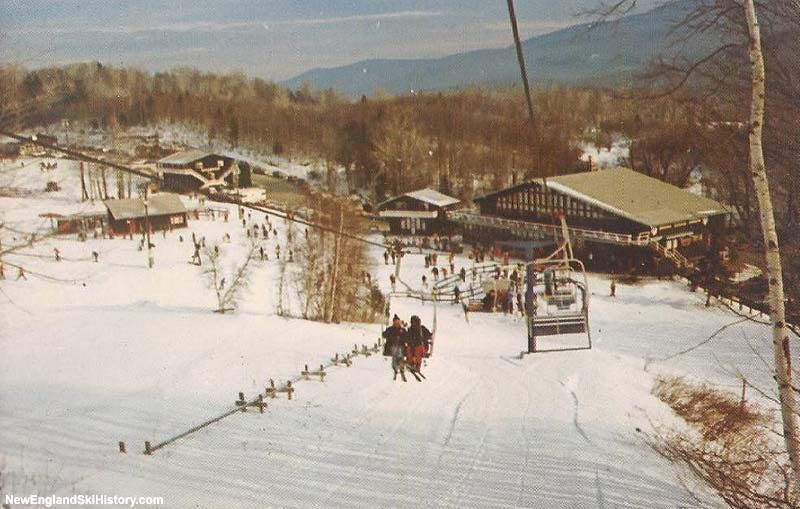 In 1963, the Federal government declared Brodie to be one of three ideal locations for a commercial ski development in Massachusetts. During early 1964, Jim Kelly scouted out locations for ski trails, seeking the counsel of regional ski experts such as John Hitchcock. Trail clearing commenced on April 28, 1964, followed by the installation of two Stadeli lifts and 360 lights for night skiing. After being closed for over a decade, Brodie reopened in 1964-65 with five trails and an 850 foot vertical drop. In conjunction with night skiing (consuming nearly half a megawatt of power), the large Blarney Room pub quickly became a happening place. The natural snowfall wasn't abundant, however, so Kelly had to get creative. That February, he used his logging trucks to haul snow from nearby Berkshire Hills Country Club to cover the slopes in time for President's Week. For the second season, a new trail called Ryan's Express was cut. More importantly, a massive snowmaking system was installed, covering 90 percent of the terrain. The improvements paid off, as Brodie reported a 20% increase in business that season. Thanks to natural and manmade snow, the season extended into April of 1966. Two new trails debuted for the 1966-67 season, named JFK and Mickey's Chute. The intermediate JFK quickly became one of the most popular trails on the mountain. With 7 miles of trails open at night, Brodie now billed itself as the largest night skiing facility in the world. The ski area expanded to the summit in 1967, giving it the largest vertical drop in Southern New England. Along with the new T-Bar, 4 new trails opened. Thanks to snowmaking and decent weather, Brodie would operate for 145 consecutive days and nights. Chairlift service extended to the summit for the 1968-69 season with the installation of Dot's Lift. Named after Jim Kelly's wife, the new 5,600 foot Borvig double was advertised as the longest and highest chairlift in the state. In addition to the chairlift, the famous Tipperary beginner trail was added. Brodie made headlines at the start of the 1969-70 season, as Johnny Cash filmed scenes for a made for television movie "Trail of Tears" at the ski area. Brodie was chosen for its ability to simulate a blizzard with its snowmaking system. Meanwhile, a new cafeteria was added at the base of Dot's Lift. Matt's Chair was added for the 1970-71 season, replacing the original novice T-Bar. In the midst of the energy crisis, Kelly leased a nearby gas station circa 1973, offering to sell gas to anyone with a valid Brodie lift ticket. Signage was a chronic problem at Brodie, with the Commonwealth of Massachusetts often forcing the removal of signs on US 7. Owner Jim Kelly responded to one sign removal in the mid 1970s by instead painting Brodie on the side of a cow and having it graze in a roadside pasture. A new Stadeli double chairlift, stopping just short of the summit, debuted along with two new trails for the 1977-78 season. This would be the final chairlift installed at Brodie. Despite the snow drought of the early 1980s, Brodie kept on chugging, opening a new cross country ski center near the mountain for the 1980-81 season. Despite opening the mountain on October 22 in 1982, warm weather limited the area's operations to 30 days prior to January. In terms of facility size, Brodie remained about the same thereafter, adding little terrain and no new lifts. 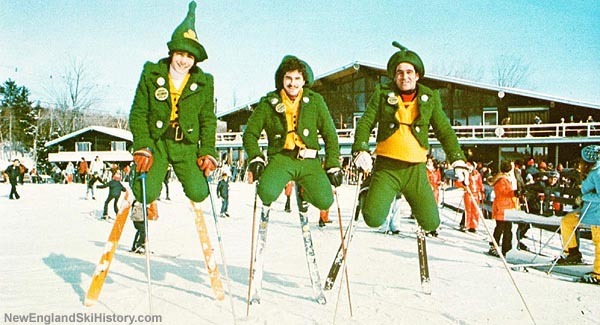 It did, nevertheless, remain a major player in the regional ski industry, especially around St. Patrick's Day. 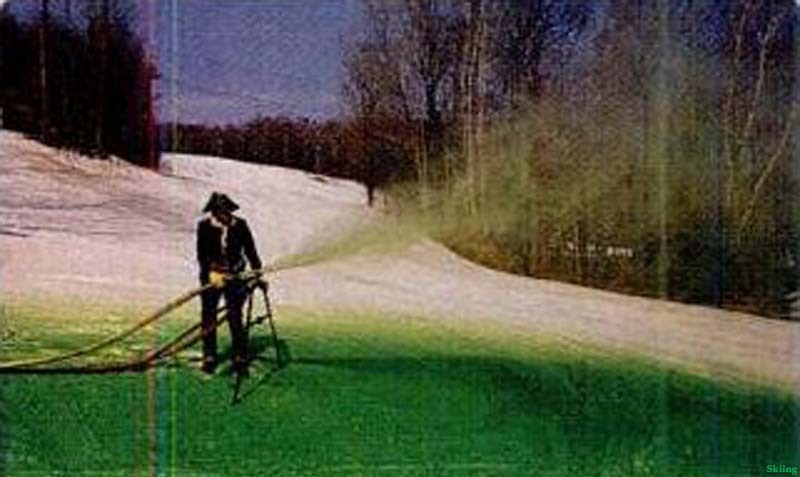 Every year around that time, trails and beer were dyed green, while the sound of bagpipes flooded the area. Meanwhile, nearby Jiminy Peak was rapidly growing, eventually surpassing Brodie in both lift infrastructure and snowmaking firepower. By the time the 1990s drew to a close, Brodie's facilities were aging, as was its dwindling skier base. Ready to focus on golf rather than skiing, Jim Kelly sold the ski area to longtime rivals Brian Fairbank and Joseph O'Donnell in 1999. Kelly opened his "dream golf course," Donnybrook Country Club, in 2008. Meanwhile, planning for a mountaintop wind farm began in the late 1990s, resulting in the commissioning of the Berkshire Wind Power Project in 2011. 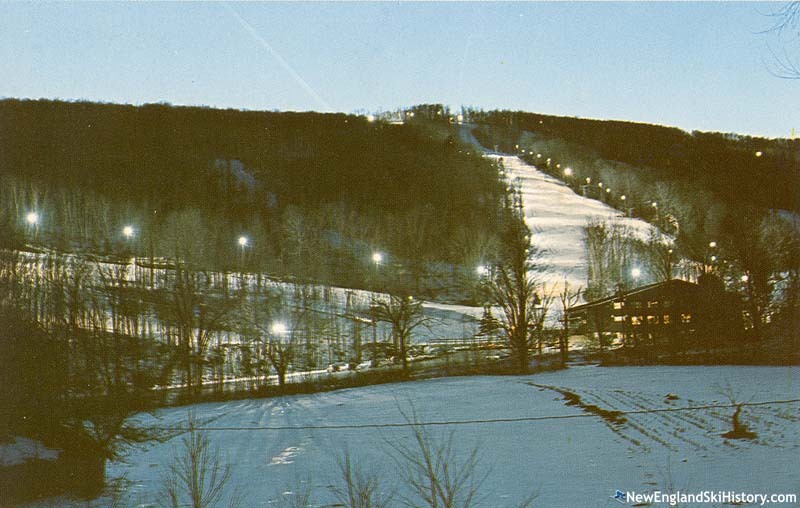 Jiminy Peak operated it for three seasons, initially with plans to install a high speed detachable chairlift. After investing in snowmaking improvements, the new ownership realized Brodie would require more investment than they could justify with the remaining skier-base. As a result, they shut down skiing operations after the 2001-2002 season, while keeping the tubing facility open. In 2004, Fairbank and O'Donnell sold Brodie to Silverleaf Resorts for $2.6 million. As part of the deal, Silverleaf could not operate a commercial ski or snowboard area at Brodie. Silverleaf planned to build 326 timeshares at Brodie for a cost of $50 million under the name of Snowy Owl. 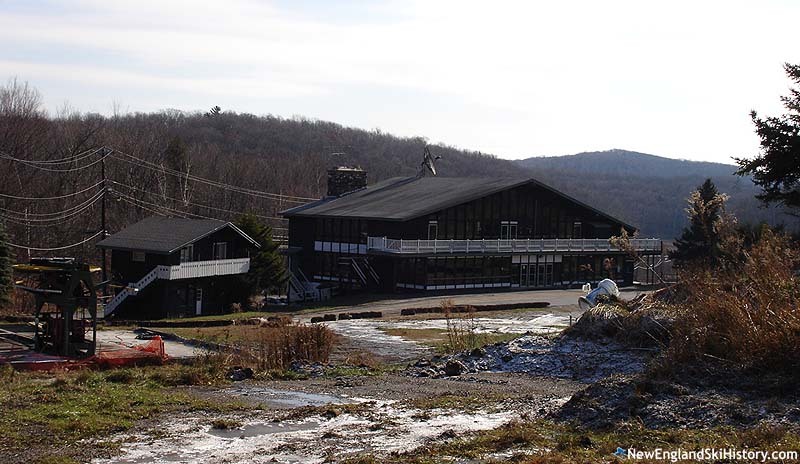 While the snow tubing operation continued through the 2006-2007 season and initial demolition of old lifts and buildings took place, the larger project was not to be. In the spring of 2012, reports came out that the mountain was once again for sale. While modern equipment, such as the Magic Carpet and newer fan guns, has been removed, much of the core infrastructure remains in place. The property is reportedly posted no trespassing. "We will always miss Kelly’s Irish Alps. More fun than I could possibly describe. Thursday ski club, Saturday evening with the guys. Meeting girls on the slopes and in The Blarney Room around the fire place. It just couldn’t get better. Thanks for the memories." "My dad help lay out the trails. I miss the old girl, Jimmy was a joke. " "many fond memories of camping at Brodie Mountain, from hangin in the rec center to hiking ski trails and playing in the pool as well as the tree house playground. Sad that this land is just sitting idol." "Enjoyed skiing at Brodie Had our wedding reception in the Blarney room and wedding pictures in front of the the giant fire place in the main lodge The best memories !! Really miss it"
"Awww I loved Brodie. Back in the eighties a group of about 50 of us would drive up from Jersey to spend the week at Brodie. All of us kids would ski from morning to night, while our parents partied in the Blarney Room. What great memories! We would take lessons just because they were included in our package. The best ski instructor was Fran! We would go every year, so we made friends with everyone who worked there. At night when the mountain closed, the ski patrol would let us sled. Every year got better. I shore do miss it, but at least I have wonderful memories. " "Brodie was just a fun place to ski, and relax. Nothing fancy. Our kids learned to ski there, and while they were learning, we had fun skiing. It would be incredible to see it "come alive" once again. That said, such great memories. 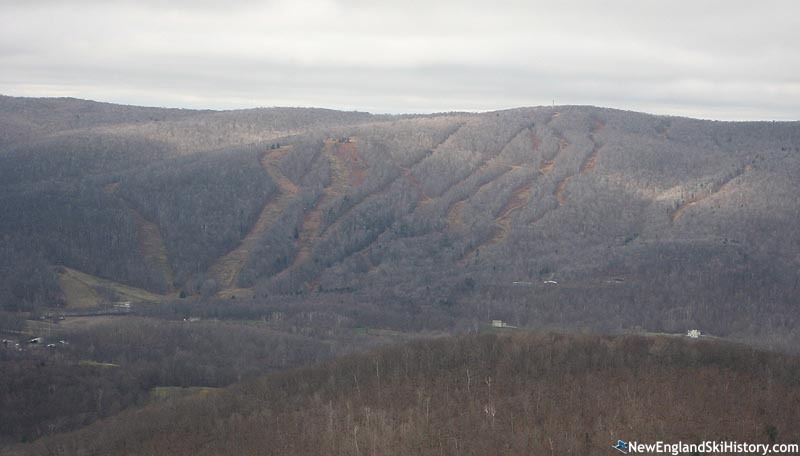 As I ski at Jiminy, I enjoy looking over and seeing those slopes! :) "
"I miss Brodie very much - it was such a great local ski area. My parents took us when we were kids in the 80’s. 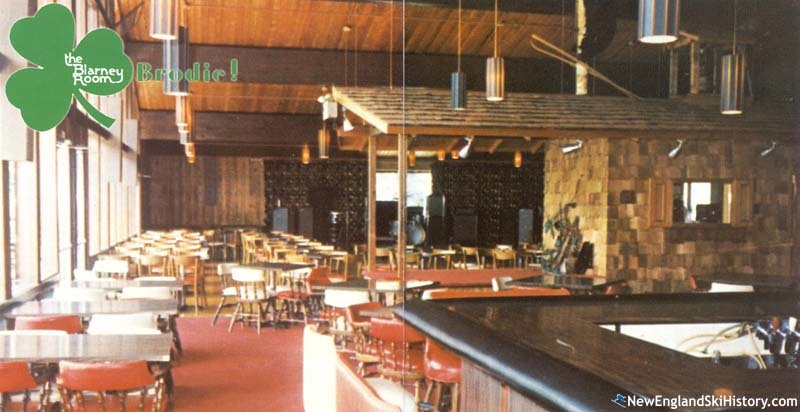 I can remember coming in from the slopes to grab something to eat and watching all the adults enjoying themselves in The Blarney Room. I’ve tried other mountains and while they’re ok, none have that special feeling that Brodie has. I’d love to see it come back, but in this day and age, I doubt it is economically feasible. However, I’ll continue to remember those great times. " "Skied there with my dad. Learned to ski there. Such a shame to see it this way. Drove past it this weekend on my way home from MT Snow There was some snow on the slopes . It made me want to grab my skis and walk up the mountain just to ski it one last time !!! Seems like at least some of the slopes are being maintained ( growth cut back ). I believe the mountain and adjoining property is for sale . Someone. please ......SAVE BRODIE !!!!" "learned how to ski at Brodie mountain! Some of my best childhood memories on that mountain ! " "Many a days were spent with the Taconic Braves XC ski team and coach Andy Kelly skiing UP the right side of the mountain on our XC skis. Great times had by all on the mountain and in the lodge. It was one to remember all around!" "My parents had a trailer on the slope for 12 years. Every weekend we came up and skied and every vacation. Was some of the best times of my childhood & teenage life. Times where good back then simple easy going. We will never see that again." "mY MOM AND I WOULD go to Brodie after school on Friday nights when I was very young I will always remember those good memories"
"Had season tickets my last few H.S. years 1973, 74, 75. Got in 30+ days per season. Parked at "The Canteen". Ran gates with the Williams guys at top of Shamrock. My Dad was the guy in the blue or white jump suits with no poles!!! He had a pass until 1983 or so. Great times!!!" "First time skiing there on our honeymoon. Absolutely loved the fire place. Had a great time." "Learned to ski at Brodie; those thursday night lessons felt special with my sister and Dad, and no homework that night! Later on a pack of us would ski together every weekend, and we stayed out no matter what the weather. We raided the cafateria for trashbags to put over our gear if needed, and borrowed lunch trays to ride while we waited for the lifts to re-open between day and night skiing. The whole thing felt like family, I guess that it was. Thanks to all that were a part of a great time." "The memories live on. I wish my kids and their cousins could have had the Brodie experience.....nothing better. Thanks Dad (Joe Gleason) for making it possible." "I was wondering about Brodie Mountain and googled it...found this web site! What a nice surprise! Taught skiing there from1974 to 1976 and had some of my best ski days there..usually over 100 days per season. Moved west in 1977 and have continued to ski every season in the Rockies. But it all got started at Brodie...great memories! Now I ski at Maverick Mountain in southwest Montana....A little Mom and Pop ski area that kinda reminds me of Brodie." "We skied as a tribe at Brodie every weekend regardless of conditions or weather. Blazed our own trails and skied with some of the best skiers I have ever seen. Remember the columns of ski boots on the stairs heading up to the Blarney Room. Wouldn't trade my time with that group of friends for anything "
"My Dad sold lift tickets every Sunday from 3 to 11pm so our family could have passes. Best time of my life. Learned how to snow plow on the tow rope to parallel skiing down shamrock! My one regret....never having enough courage to do the slush jump!!!!!! Best memories ever!" "Learned to ski there at night with my friend from work. Loved the atmosphere of the mountain. Was at the St Patty's slush jump in 1995, so much fun. I filmed it and put the video up on YouTube if anyone is interested. Just google Brodie Slush Jump and it should come up." "I've missed brodie for years since J.P. took over and shut it down. Learned to ski there in the early 1990s. Great atmosphere, good folks. " "We loved skiing here with the kids. We put our daughter, 4 years old, in the nursery for a really reasonable price and we skiied all day, coming to the nursery to eat lunch with her. We would take her out for skiing, and put her back when she was tired. The lifts were slow, but I loved this place. Lovely family memories!" "Grew up going to Brodie. Loved it there. Used to be pretty crowded in the 60's, I remember being turned away due to crowds and ending up at Jiminy. My son's HS Ski Club went to Brodie on Monday nights in the 90's,we used to go over and ski with him. Loved that place! Many memories- final time there was not for skiing, it was for an Anniversary Party - renewal of Wedding Vows held in the Blarney Room, probably was back in 12-years ago. - great time." "First tracs under Andy's lift. Fifteen inches of dry powder. Best mogul run of my life. Winter of 1979Bigger, smaller, Brodie is the most fun terrain around." "I could remember when I was working for K2 all of the pro races & on-site demos we had at brodie. Great place to hang out especially St Patrick's day." "We loved skiing at Brodie, it lives on in my heart!Lots of great memories!" "Remember the green snow on St.Patricks day"
"Skied at Brodie many times in the late 80s and early 90s while a student at WNEC in Springfield. In my heart, it's still my all time favorite place to ski." "My uncle taught us to ski at Brodie Mt in the mid eighties. When we started earning our own money, we would take advantage of the $10 Sunday and Monday night lift tickets. Once we were old enough, we enjoyed the time we had in the Blarney Room. I remember winning a contest, in the Blarney room, for having the least amount of cash on me! Those were the days." "Loved Brodie. Grew up skiing there in the mid 80's---- mid 90's. Used to be a large group of us from Eastern Long Island. Us kids then would do the 'twilight' skiing as our parents would drink lots of beer. Ohhhhh the memories!! We even used to sleep in our motor home some trips up there. If it were open again we would be still visiting every year with our expanding families. Progress blows some times. Wonderful Brodie, R.I.P There will never be another like you"
"Had awesome night ski times at Brodie, with my big bro Dave, and my Scotia NY ski buds Phil, Ken, Bill, and Pete, in the 70's." "Ahhhhhhh the Blarney Room!!!! Got wasted and sang Van Morrisson's 'Browned Eyed Girl' with the band one night..........great memories ...oh yeah, and the skiing wasn't half bad either!! Where else could you get green swizzle sticks shaped like skiis for your drink and green snow?? Truly miss the good old days:~( !!" 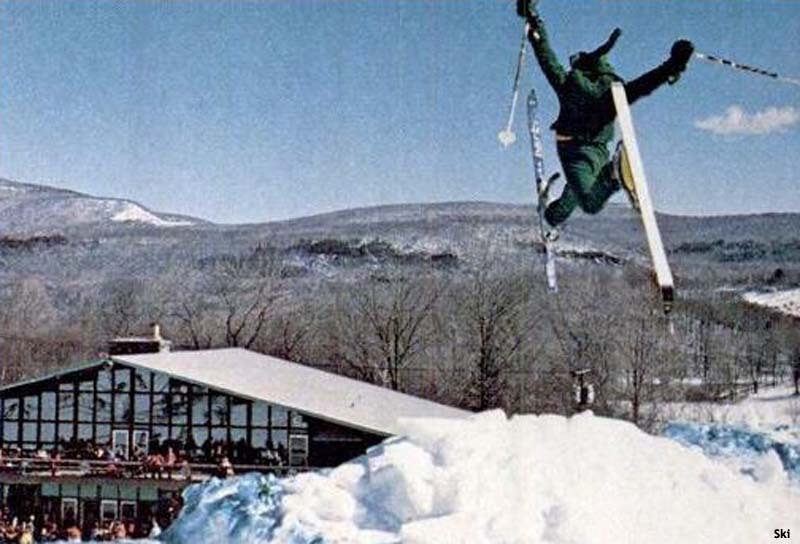 "My parents put me on skies at 2...Brodie was a great place to be a kid and ski. The night skiing was fabulous ! So much fun. Unforgettable !" "3.23.14Skied at Titus Mtn Malone ny and part of my childhood was there. All of the Blue Brodie snow canons where there. Miss that old Mtn in Mass. " "Grew up there and still have all of my ski passes from there starting with 1973! Grandmother worked in the office, dad was a ski instructor and my first job was a ski instructor at age 13. I would buy it if I could! :)"
"I have great memories of skiing Brodie with friends and family from the 70's through the 90's. Today, I'm a guide for Steamboat Powdercats and have many conversations with guests from the east that have similar memories. One being skiing green snow on St. Patricks day..... Yeeeha!" "Was the coolest place on earth! Skied almost every day and night !" "Thinking of all the great St Patrick's Day festivities at Brodie. They will never be duplicated! Spent many, many great winters there! And had my wedding reception there. Not many people can say that........you had to KNOW people (Joe Gleason)"
"Brodie was THE place to ski on St Patricks Day, I still have a pair of Brodie green ski swizzle sticks :-)"
"Worked at Brodie as a ski instructor with my sister, grew up on the slopes, have had to settle teaching my son at the old rival Jiminy Peak! While it makes me sad there is no longer skiing there, I am so happy to have so many great memories of that place!" "As part of the Brodie Mt. campers who wintered up in the trailer part on Brodie, we have many, many fond memories. My kids learned to ski there and it was wonderful to be able to just open the camper door and let them head off on the mountain. All the campers looked out for each other and the chairlift guys knew and helped all the kids. From all the parties the campers had, the famous jump at Tower 7, and taking Tip from the top as our route home to our camper, the times we spent at Brodie Mtn. were some of the best!" "While in high school in the late 70's and early 80's, I skied here numerous times. Loved this ski area!! Just a beautiful, friendly place. Mickeys Chute was my favorite trail as it was somewhat challenging but unsurpassed for its beauty! The night skiing was magical. I cannot believe it is gone. Very sad news to hear. " "Like Carole! I met my sole mate there and we were married in 78, just recently lost him to a stroke, and I would love to come back and relive some of the good times in the blarney room! we too have the skies from the drinks! it was a great place back then , I miss it, The good Ol days. We tried to go there when it was snow owl, met by some guy and a shot gun, if you can believe it. we only wanted to drive around, but got into the lower parking lot and turned around. Oh wellDo they still have any condos there any one know??" "As a musician/singer. i played many years at Brodie during ski season and enjoyed all the fun and great people I met there' and all the fab Kelly family were a souce of inspiration' perhaps its time to rebuild Brodie...? " "Worked at Brodie in the early 90s .Had the best time ever. Brodie was the places to be on St. PATRICK'S DAY." "I got engaged at Brodie Mountain St. Patrick's weekend 1975. Married in 1976. Everyone there bought us congratulatory drinks. I rmember the Green Beer Slalom and Green Plastic Crossed Skis with the Logo of Brodie on it placed in the Irish Coffees. (Still have ne ski). Also the patch with the lepreuchan." "Grew up at Brodie in the mid-70s to mid-80s. Skied on the jr. racing team. Evenings with family in the Blarney Room. A gorgeous mountain that you could ski daily and it was always an adventure. Sad it's gone. Hope more photos and sites and home movies go up. Lost Ski Areas Project site also good. Would be nice to either add to that site or have another to share on. Thanks to this site for this forum!" "Brodie was my favorite mtn to ski growing up. I wanted to take my kids there to learn how to ski and was so sad to find out it was closed forever. :( I will miss Brodie." "Skied brodie many times on saturday nights 330 to 1100 pm ticket , then to the blarney rm for some great times ! mid 1980's"